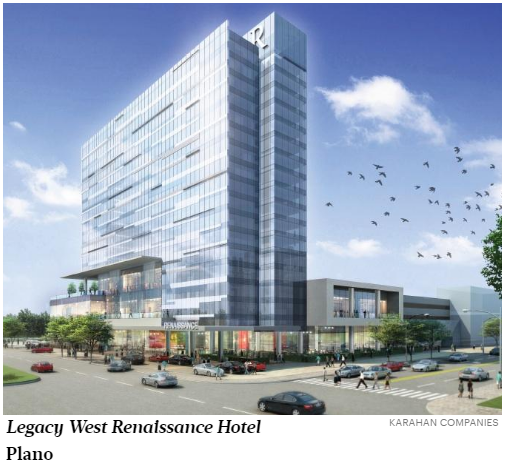 ​DALLAS – As jobs keep pouring in to the Dallas-Fort Worth area, commercial real estate projects in the form of office complexes and apartment towers are popping up all over the North Texas region to keep up with demand. The Dallas Business Journal has a map to catalog all the construction projects happening in the area called the Crane Watch database, available here. Construction is happening all over the region. Most of the projects are in Dallas and Plano, which have nine and four projects, respectively, scheduled to finish this year. However, multimillion dollar projects in Allen, Arlington, Flower Mound, Grand Prairie, Grapevine, Richardson and Southlake are also underway. ​​​​Want more data? See Dallas Overview Market Research.